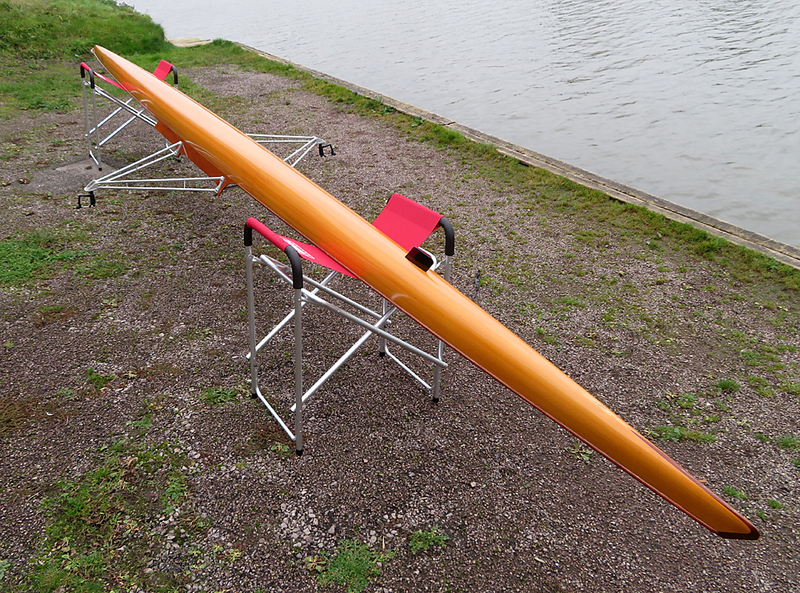 Ray Sims wooden single scull for sale. Very sleek and fast. One tiny repair which has been made with clear tape (it sounds rather temporary but I assure you it's been like that for several years without any problems.). Most likely a previous owner went over something in the water). 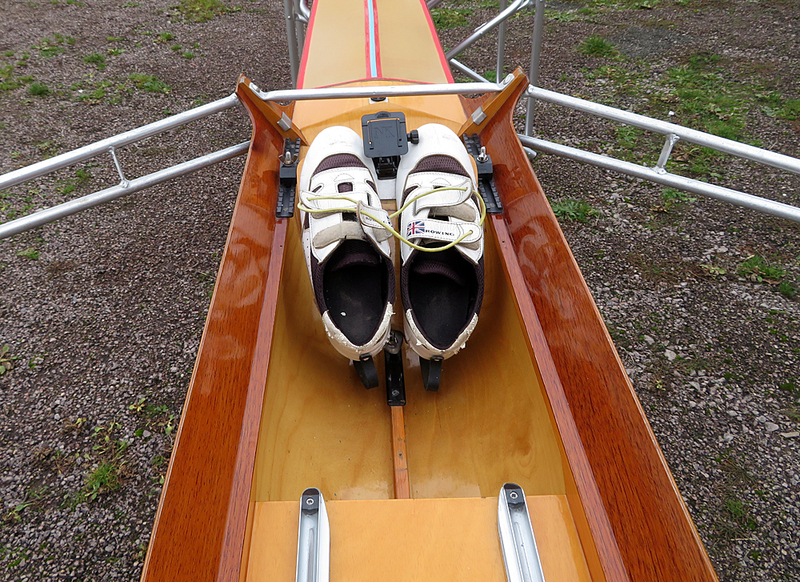 I would suggest 80Kg as a maximum weight as wooden boats tend to sit lower in the water than plastic ones. No blades or trestles included althogh I have a pair of each for sale seperately. I have more photos if you'd like to see a particular part.